Makeup setting mists sound great in theory. A few spritzes, and your formerly prone-to-melting makeup stays in place, and all signs of an oily forehead are kept at bay? Yes—I’ll take five, please. As the possessor of such an oily forehead (and nose, and cheeks), I took it upon myself to put these magical mists to the test. After all, NYE is just around the corner, and no one wants smudged makeup to ruin their midnight kiss—the one your best friend will be not-so-stealthily broadcasting via Snapchat, obviously. Keep scrolling to see which mists passed the test—and which ones didn’t. 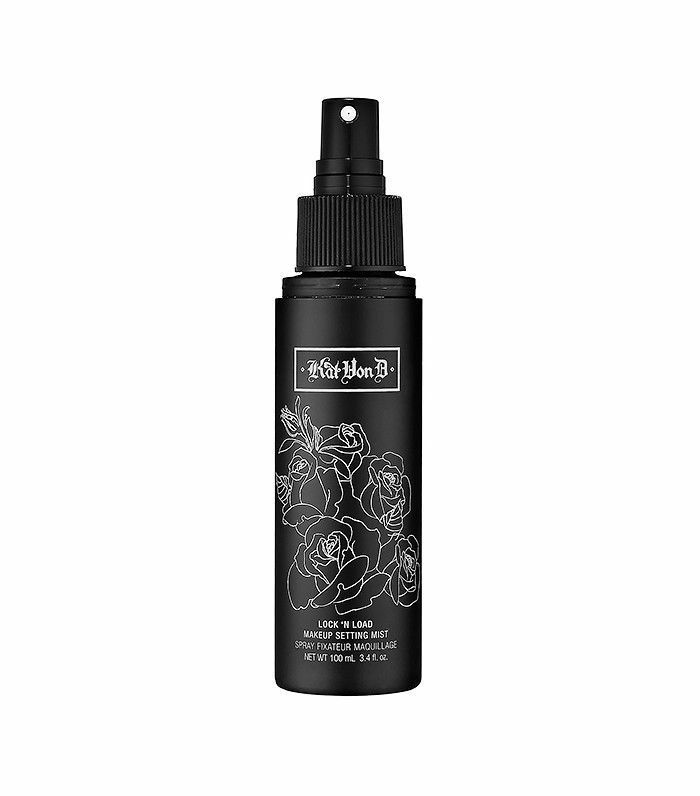 First things first: this mist from tattoo goddess Kat Von D's namesake line smells amazing. Cucumber-esque and just plain refreshing, I couldn’t help but feel like I was standing on the edge of a cliff with the sea breeze lightly misting my face when I spritzed (my bathroom is my safe place, clearly). The mist left my skin looking nice and dewy, which I liked, but was also a bit worrisome. If it was glowy now, what would it look like a few hours from now? Sure enough, in just an hour or so, I examined my face in the mirror and was surprised to see that my skin was decidedly shiny-veering-on-oily. When I touched my forehead, I felt a layer of film. I was certainly glowing, in every sense of the word. It did keep my black pencil eyeliner in place with nary a smudge or smear, which is no small feat given my oily lids (I’m just making my face sound like a giant oil slick, aren’t I?). I would recommend this mist to anyone with skin on the drier side, who might benefit from a dew-boost. For my oily skin, the end result was just a little too shiny for my liking. 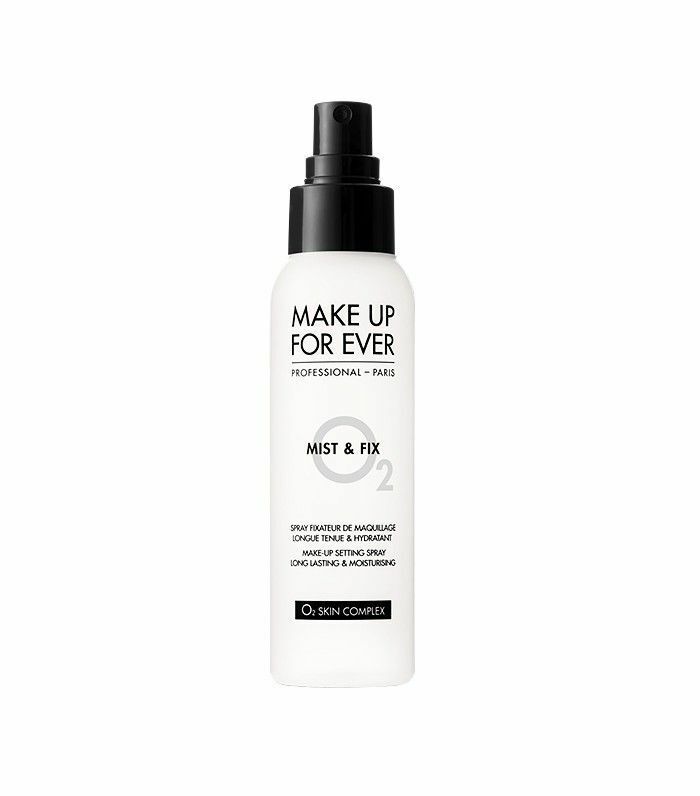 Byrdie contributor and pro makeup artist Afton Williams raved about this makeup setting mist from Make Up For Ever in one of her stories, so I was eager to try it out—makeup artists know best, after all. The formula promises to lock in makeup and keep color fresh, as well as create a sweat-proof barrier that supposedly lasts up to 12 hours. I spritzed it on my face after applying my everyday makeup uniform (a tinted moisturizer, Kjaer Weis’s Cream Blush, black liquid eyeliner, and a few sweeps of mascara) and promptly forgot I was wearing it shortly thereafter (oops). It wasn’t until around 3 p.m. when I happened to glance at my face in the bathroom mirror that I felt like something was different. I peered closer and realized it was my skin. The oil-slick my face usually resembles by late afternoon was more like a peaceful pond—my skin was faintly glowing, but not shiny in the slightest. Then, I remembered. The mist! I touched my skin, and was pleased to find there was no dreaded film on my finger of grease or silicones—it felt like my skin, if my skin was totally balanced and zen, like Gwyneth. 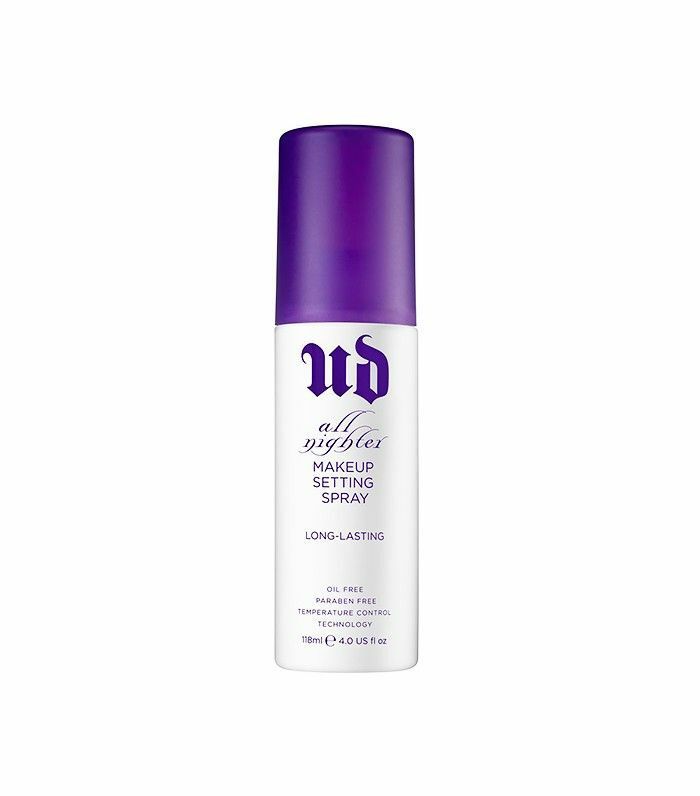 This makeup setting spray from Urban Decay has reached cult product status—just look at the thousands of rave reviews on Sephora’s website. Boasting a patented Temperature Control Technology, it’s actually supposed to lower the temperature of your makeup to keep it all in place—even in the face of sweltering conditions. I had a memory of trying this mist years before and being unimpressed with the results, but decided to give it another go with an open mind. I’ll just say this: how foolish I was in my youth. This light mist worked like a dream, and left my makeup firmly in place and kept most of my dreaded shine at bay all the way until dinner time. There was a slight sheen, but still much better than if I hadn’t used it at all. I did get a small zit on the side of my nose the next morning, but that could have been unrelated. My best friend has very dry skin and also swears by this mist, so it seems to be a universal miracle worker. You can’t be an under-five-dollar price tag, which is the main reason I was excited to try this new launch from e.l.f. That, and the fact that it’s specifically formulated to help control shine, as well as infused with skin-soothing ingredients like vitamin b and e. First thing I noticed when I spritzed: the “mist” was not exactly a mist. The droplets were quite large and were less “light mist” and more “walked too close to a sprinkler.” I had also been hoping for more of an immediate matte effect after spritzing, but after waiting a few minutes and peering in the mirror, my skin didn’t seem noticeably more matte. Instead, I seemed to have a soft, light-reflective glow—which is great, but not exactly what the formula promised. By mid-afternoon, my face was as shiny as ever—though, it did somewhat keep my eye makeup and blush in place. Plus, the price tag just can't be beat. 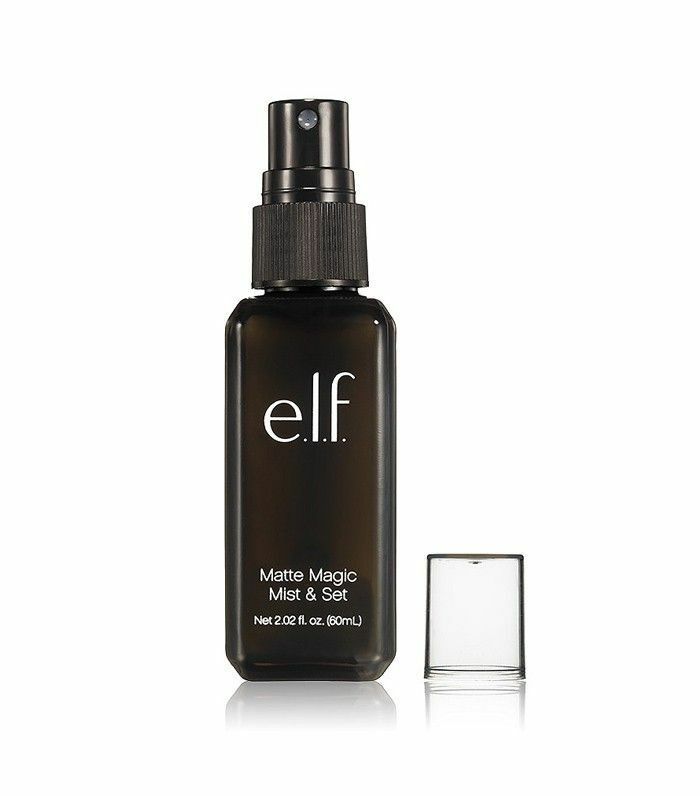 Have you ever tried a makeup setting mist? Which one do you swear by? Comment below to let me know!